and bright things that he had never yet imagined opened out before him . Our Middle-earth Recipes were featured at NPR's blog, thank you Cinebeth, and also Doctor Gamgee for being our spokeshobbit. The"faith & issues discussion" forum, Sam's Stewpot, is available. This is a member's only forum for those with a minimum of 75 posts, just pm Daughter of Kings, Doctor Gamgee or Primula if you would like to take part. Something to add to the Scrapbook? Cardinals by Agape4Rivendell (Tales/Serial), complete. The original website design was by Redbeard, adapted, embellished and expanded upon by Primula. This is a gen, family friendly, slash-free site. 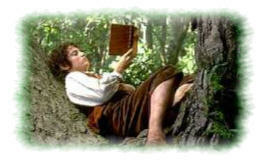 Note: the items on these pages are only posted here for the personal use of the members of The Fellowship of Middle-earth and their related sites and may not be used for commercial or other unauthorized use, by publication, re-transmission, distribution, or otherwise, except as permitted by the fair use clause of the Copyright Law or other law. All writings, artwork and other postings remain the property of the individual authors or owners. These pages maintained on a volunteer basis as time permits, site hosted by Lunarpages. If you would like to link to this site, feel free to use these banners, or our other selections under Links. Questions/comments? Contact Primula via the pm messaging at the Fellowship of Middle-Earth forums.